UFO is a British television science fiction series created by Gerry Anderson and Sylvia Anderson with Reg Hill, and produced by the Andersons and Lew Grade‘sCentury 21 Productions for Grade’s ITC Entertainmentcompany. The Andersons had previously made a number of very successful marionette-based children’s science fiction series including Stingray, Thunderbirds, and Captain Scarlet and the Mysterons. They had also made one live-action science fiction movie,Doppelgänger, also known as Journey to the Far Side of the Sun, and now felt ready to move into live-action television and aim at a more adult market. UFO was the Andersons’ first totally live-action TV series. Despite the assumption of many TV station executives, the series was not aimed at children but deliberately sought an older audience; many episodes featured adult themes such as adultery, divorce, and drug use. Most of the cast were newcomers to Century 21 although star Ed Bishop had previously worked with the Andersons as a voice actor on Captain Scarlet and The Mysterons. 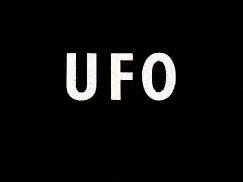 UFO first aired in the UK and Canada in 1970 and in USsyndication over the next two years (the shows were copyrighted in 1969). In all, 26 episodes, including thepilot, were filmed over the course of more than a year, with a five-month production break caused by the ultimate closure of the MGM-British Studios inBorehamwood, where the show was initially made. An idiosyncrasy of the series is that the term “UFO” is pronounced as a word (“you-foh”), as suggested by the real-world originator of the term Edward J. Ruppelt, and not as the more common “you-eff-oh”. This is particularly true of the lead character, Ed Straker. Technically speaking the series title should properly be pronounced “you-foh” as well. However, the “you-foh” pronunciation was not consistently applied and some supporting characters use the now more common form. Lead actors Ed Bishop and Michael Billington died in June 2005, within five days of each other. The removals of organs from human victims may have been inspired by the bout of cattle mutilations in the 1970s in part of the western USA.